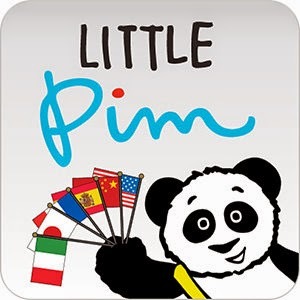 Follow your child's language development by tracking their progress as they learn new words and phrases from the Little Pim language learning App. My son is bilingual (Spanish and English), Now we are teaching him Portuguese, Little Pim App is perfect to keep track of his progress. 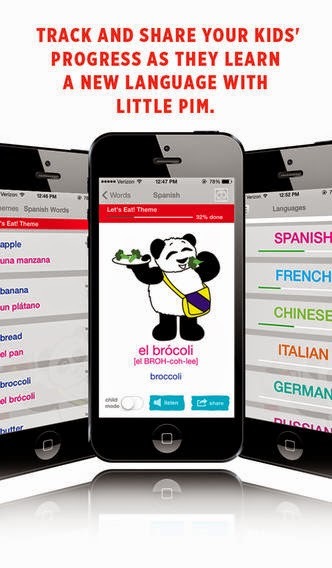 First you create a profile to keep track of their language learning. After creating their profile they are ready to start learning new words using hand-drawn flash card image with audio of the word being read aloud, so is perfect for them to follow along. Today we have a review of Kristy Lee Baby to share with you all! 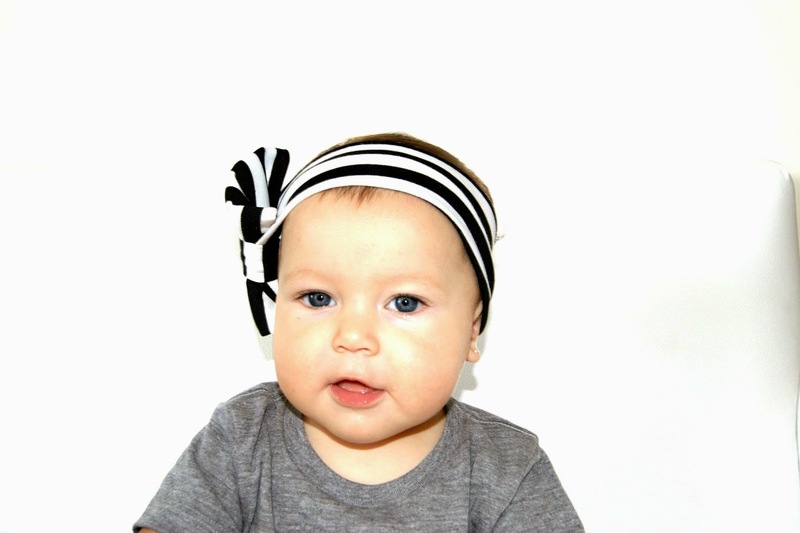 We received the Black & White Stripe Bow hand-made headband and we really liked it. I love putting bows and headbands on Mia, I am a fan of headbands, turbans and bows . I think they are the perfect accessory for a girl's outfit. What we like about Kristy Lee Baby headbands is that they are soft and comfortable.The thick design is perfect because it doesn't leave a mark on the babies. What are you waiting for mommies? check out Kristy Lee Baby on Etsy. The headbands and turbans she offer are super cute and perfect for your little girl. Kristy Lee Baby is an etsy shop specializing in handmade headbands for women and children. We believe fashion should be comfortable, so all headbands are made with a soft and stretchy knit. We choose patterns that are both trendy and modern. 2. Who is behind Kristy Lee Baby? Tell us a bit about the owner and the reason why Kristy Lee Baby stared? My name is Kristy Konicke and I am the owner of Kristy Lee Baby. I am from San Diego but recently moved to Portland, OR with my husband and seven month old daughter. Before she was born I bought so many headbands made with elastic for her. When I was able to dress her in them I noticed they left an indentation on her head. I wanted something more comfortable for her that was still stylish. I started sewing and came up with a few designs. Friends and family saw her wearing them and suggested I started selling them, and that's when Kristy Lee Baby was born. I absolutely love that I can earn money sharing my designs while staying home with my little one. I love the shop lil' sugarlamb on etsy. She has the cutest leggings and so affordable! I have bought probably ten pairs from her!! Also the shop on Instagram @mamaandlittle (not sure their website). They have teething jewelry which is actually really cute and practical for moms of babies! Ro.sham.boBaby is a San Diego based sunglasses and apparel children's company, Owned by Scott, Julia and their baby Avery, The company was launched in June 2013. We received the 90210 Model in teal & white for Mia, and we really liked them, They are perfect for her little face. Ro.Sham.boBaby have great quality sunglasses that are trendy and protect baby's eyes from the sun. We live in Miami so this shades are perfect to protect Mia's eyes and at the same time they look super cute on. The shades are made in Italy with the best quality. They don't have toxic materials like: BPA, neoprene or lead paint for babies to chew on. Ro.sham.boBaby give a portion of all sales to the Autism Research Institute in San Diego, California to support their critical work. You can learn more about their work and programs at www.autism.com. ro•sham•bo baby is owned and operated by San Diego family Scott, Julia and their 6 month old baby Avery. we started our little company after realizing that nobody was making high quality, stylish baby sunglasses while at a baseball game with a friend’s newborn. scott put his adult sunglasses on him and lightening struck. 2 years later, we had the world’s best baby sunglasses ready for your little one and ours! Pilot & Gypsy is a kids unisex clothing line, With an European and Vintage designs. 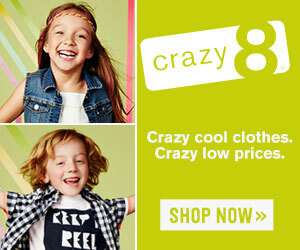 I was really exited to review Pilot & Gypsy, as a fashion designer I love soft fabrics and cool designs for kids. Her clothing line is inspired by her son Sielh who has an amazing style. Pilot & Gypsy is now introducing more girl clothing to their line. She sent us the London tank in red for Mia and for Valentino the grey and tan pants and also the Dark Grey Cowl scarf. Her fabrics are super soft and fresh. Most of the colors that she uses are grey, yellow, red and beige. We love her clothes because is very comfortable and stylish. I have been making clothes for my son since he was 2 years old (he recently turned 5). I started with skinny pants, since back then leggings were not as stylish as they are now, and it was quite impossible to find a true skinny pant, unless we crossed over into the girls section. The very first outfit I made him was a 2 piece pinstripe pant and vest suit. That is the moment I started contemplating children's wear. I was/am a stay-at-home mom, and my main priority was making sure we had lots of fun, so I didn't think about taking this particular role on full-time. But now that he is older, and I still find myself with the same problem once in a while, I decided to take the plunge. If nothing else, my son would have a wardrobe of fun clothes that I made him myself. In all honesty, I started working with knits because they really are very comfortable for any active toddler/child. But knits are not my preferred fabric to sew up. I enjoy very much working with linens and woven cottons. I try to source a lot of vintage fabrics, and that is why many times my runs are very small (2-7 pieces). Trends that inspire me: I am very inspired by Korean and British fashion when I am working with knits. The whimsy of their clothing and bold lines of the punk scene are a favorite of mine when adapting knits for little babes. When I am working with woven's I am inspired by European fashion, think The Petite Prince in the 21st century. I also like a lot of street fashion, and will peruse vintage clothing books and vintage-era movies to be inspired. Pilot and Gypsy is myself (Lauren), my husband (Keobs) and our son (Sielh). Sielh has a lot of input in the pieces we bring you. Everything is tested on him in various settings. The playground, the beach, getaways and special occasions. He is a cool kid (obviously i would say this, I AM his mom), and he doesn't mind wearing skinnies and loafers to the sandbox, or harems and a button down to a restaurant. Sometimes he helps me design the pieces and we will work side by side with the fabric. Pilot and gypsy started because Sielh will soon go to kindergarten and I would like to continue to stay home and manage my time in order to be able to volunteer and hang out with him on his vacations. 3. There are plenty of shops that I admire. For casual cool I love Mini and Maximus, Quinn and Fox, Tiny Whales, BeauLoves. For stylish clothes with a little more grown up appeal I admire Boy Friday, La Miniatura, Scotch Shrunk and Tom and Drew. 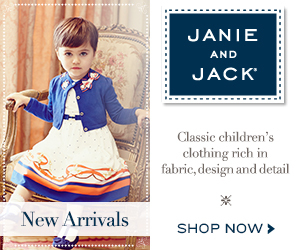 I also admire other companies that appeal to a child's whimsy like Opposite of far, A Tiny Arrow and Beau Hudson. 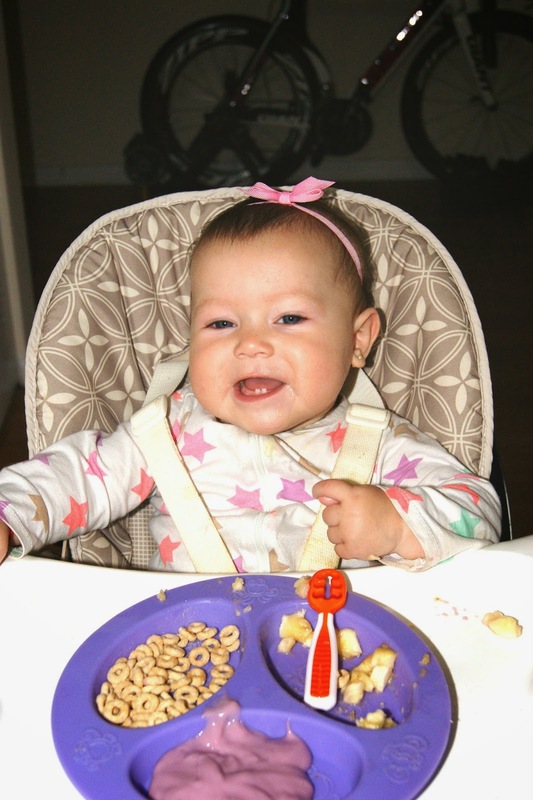 Mia is 9 months and I started to introduced solid food three months ago. After trying NumNum Dip's utensils, I notice how helpful it is for babies, it helps them to be independent at their feeding time. It was love at first sight for my daughter. 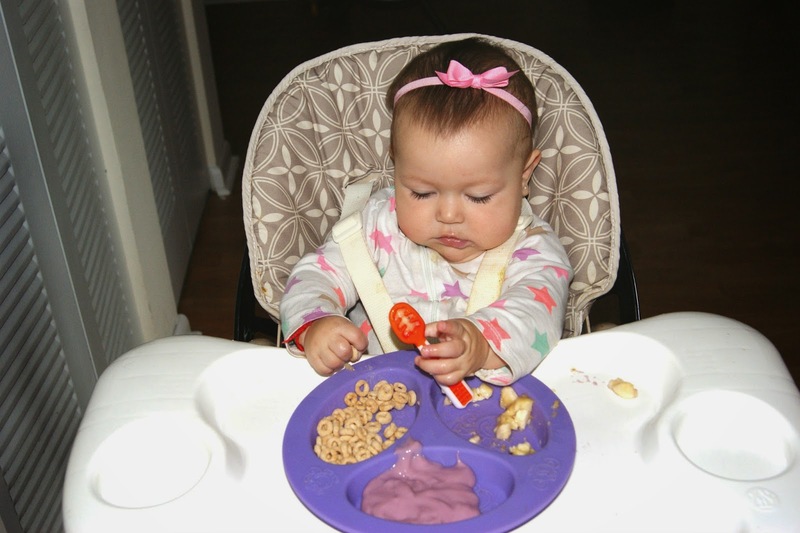 With these utensils it is easier for babies to dip, hold and use in their food. They made teaching Mia to use a spoon so easy. There is no right or wrong way to hold it. NumNum Dip's can be use for puree, yogurt, egg, mash potatoes . Basically your baby can use it with any kind of food. Their meal time becomes more enjoyable with these amazing utensils. NumNum encourages self feeding and motives your babies to try new food. One innovative solution for one messy little boy. "The story of NumNum begins over breakfast. And lunch. And dinner. Mess after mess as our son, Conor, was learning to self-feed with a spoon. Every meal, more food ended up ON our son than IN him! Surprisingly, we didn’t find a great solution to the problem. 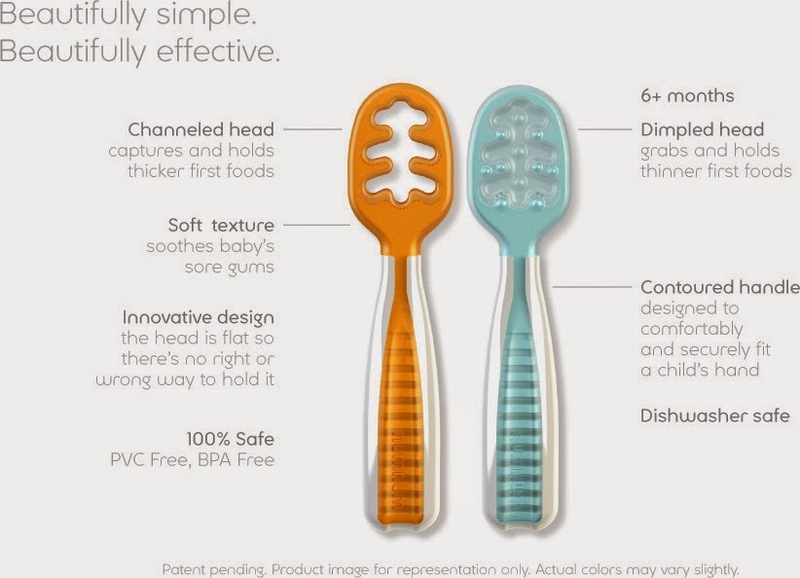 What we did find is that most companies have focused their attention on the spoon. They have twisted and contorted it in an effort to diminish the mess. Still, the mess remains. Where are the training wheels of the utensil world, we wondered? We looked, there weren’t any. Until now. With the help of design professionals, we developed several prototypes and began the process of testing, tweaking and testing again. Eventually, we settled on the two designs that were most popular and effective. Our second baby, NumNum, was launched in spring of 2013. We were proud parents all over again. We consider Conor a co-inventor of the NumNum. After all, he did all the dirty work of testing prototypes. We hope your child loves the NumNum as much as ours has. And we hope it makes mealtime a little easier on you. NumNum, indeed." 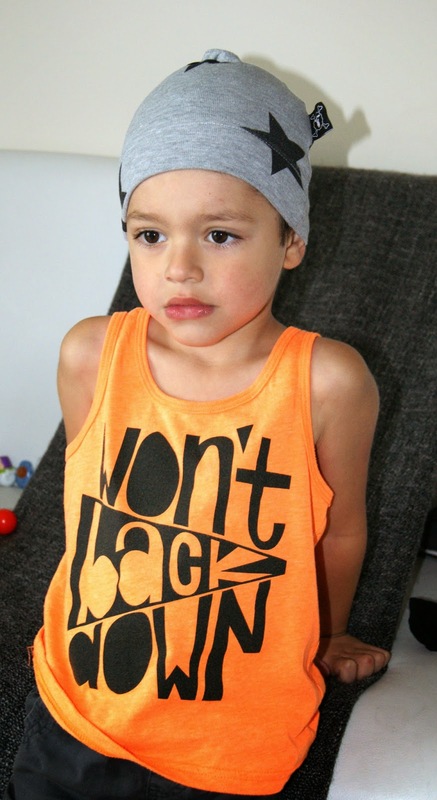 Today we are featuring the "Howl at the Moon" Hola Mama tank top From Stellar Seven , they are so unique and cute for both boys and girls. Stellar seven uses American Apparel tees which are made of soft fabric, great for South Florida weather. Stellar Seven makes fashionable, fresh, modern and unisex hand screen printed shirts for infants and toddlers. 2. Who is behind Stellar Seven? Tell us a bit about the owner and the reason why Stellar Seven stared. 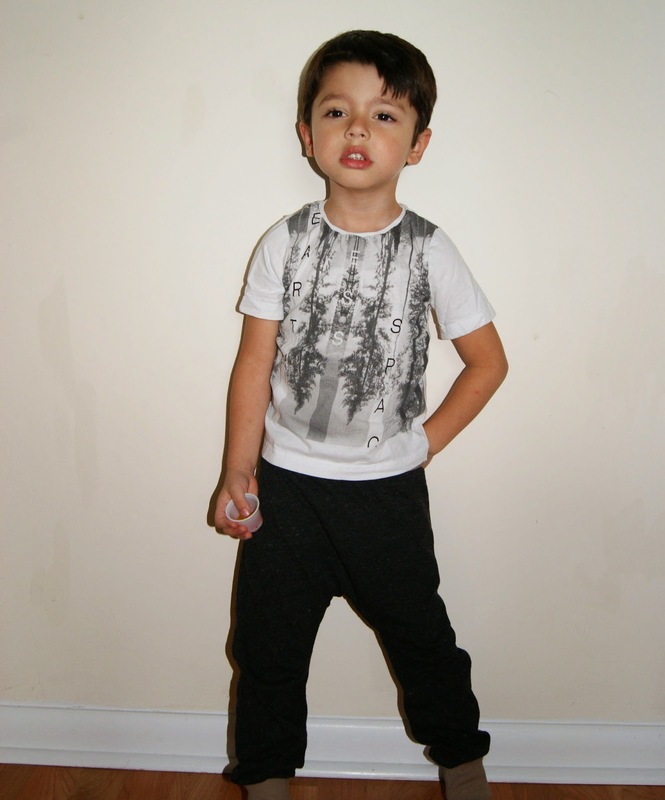 I have always loved fashion and after having my son Stellar in 2012, I was always on the lookout for fashion forward tees for him. With not that much luck, I taught myself how to screen print and it just launched from there. Received many compliments on my first and original design "Hola Mama" and Stellar Seven Apparel was created. I still hand screen print each and every tee. I seriously recommend all small shops! I'm huge on supporting small businesses, so let's just say those mamas behind those small businesses are who I admire! I recently received a BumpBox for review, since my older sister is pregnant I gave it to her so that she could try the products and review them. When I opened my BumpBox I found a welcome note were it explained each of the products that came inside. I loved the filler paper that decorated the inside of the box. The colors were pink and blue perfect for baby boy's moms or baby girl's moms. Book "it is really 10 months"
When you purchase the BumpBox for yourself or as a gift there is a small questionnaire so that they can know more about yourself and send you things that you will love. I wasn't expecting to find something for my baby inside my BumpBox, for my surprised I found something for my baby. It is a really nice idea that BumpBox not only thinks of the things that you need but also about your bundle of joy. The organic baby ruffle will be a great puffy toy for my new addition. For sure he will enjoy it. I loved the book "it's really 10 months", because I'm a first time mom-to-be so it is good to get advice from other moms. Through emails the three authors (friends) exchange their date-to-date pregnancy experiences. The green tea lip balm is a great product for your lips. Since I got pregnant I have notice that my lips are dryer than normal. This product has been great moisturizing my lips. The Mango sorbet body lotion has a delicious smell. This is the perfect lotion to moisturize your skin because it has Shea butter and aloe. Great product to help you prevent stretch marks. Makes your skin glow. I will definitely recommend moms-to-be to purchase the BumpBox. It is a great way to pamper yourself during this amazing time of your life. Ryder & Rhenn Co recently sent me two amazing products to review. 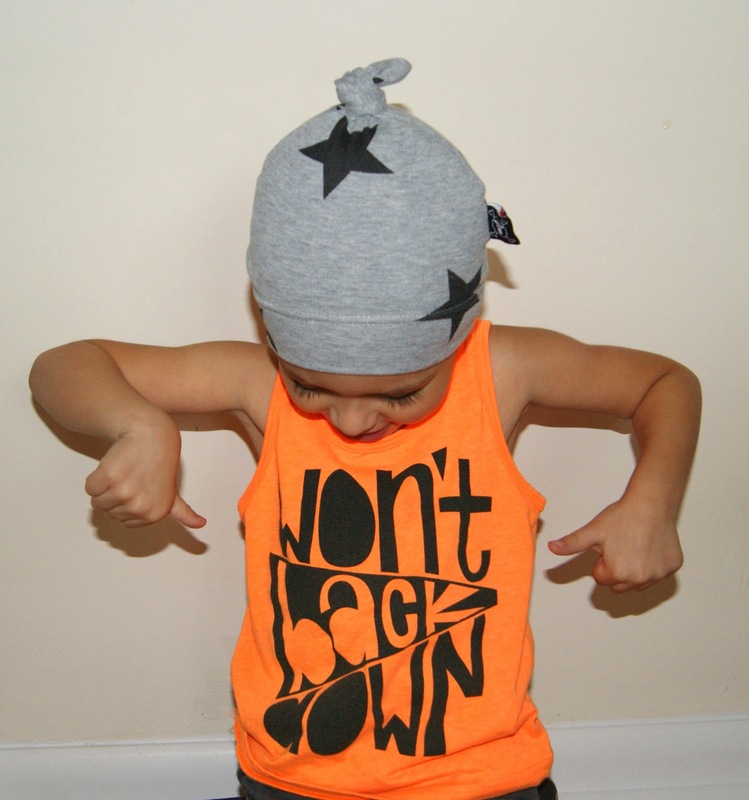 I received an Orange Neon Tank "Won't back down" in size for 4 for Valentino and the Dream Tee "Spring Special Apricot" in size 12 months for Mia. The clothes were wrapped in tissue paper with a cute note attached. Adam and Nicole, owners of Ryder & Rhenn Co, use American Apparel tees and tanks, but they print their own designs. Their prints is what makes them unique. They are so cute and fun that everyone is falling in love with them. They are ideal for summer, since its colors are bright and vibrant. The quality of the clothes is great. Both the tee and the tank are incredibly soft. Oh the good thing is that besides these products they also offer blankets, skirts, shorts, leggings and rompers. If you want your kiddo to wear something different from the other kids and still be on high quality clothes, I highly recommend you to visit Ryder & Rhenn.